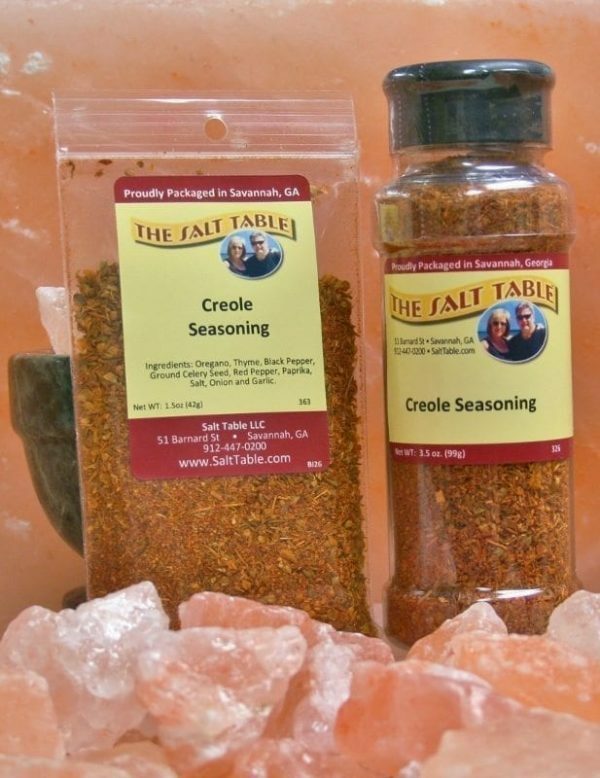 Louisiana Seasoning influenced by West Indies influences. This blend is great for cooking or for right at the table to add a little extra flavor if your heart so desires. This creole seasoning is not just great on oysters, crab and crawfish, but anything that you want to bring the lemon or the peppery side in! Now don’t get me wrong, if your’e having Jambalaya anything or gumbo, you have to have the creole spice. However, since it has salt in it, it is a great salt substitute, especially if you have some picky eaters at the table.